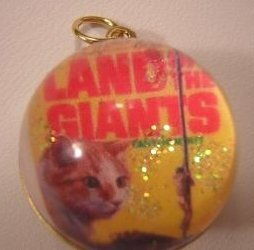 Here is a great little charm from a fun show of yesteryear....The Land of The Giants. 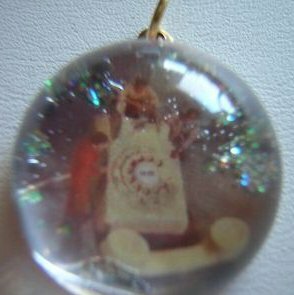 This is a new-vintage style lucite bubble charm with a great image from the show inside. A curious cat is ooking at the little guy climbing up a shoe string. Color is great! There is also a light dusting of sparkle glitter in the baground of charm. This 3/4" bubble charm is set on a vintage brass setting that has a gold sparkle prism rhinestone on back to match the color of the charm. This would be great on a key chain, bracelet or necklace.